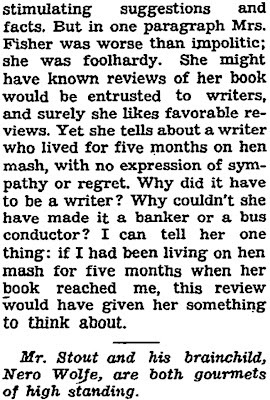 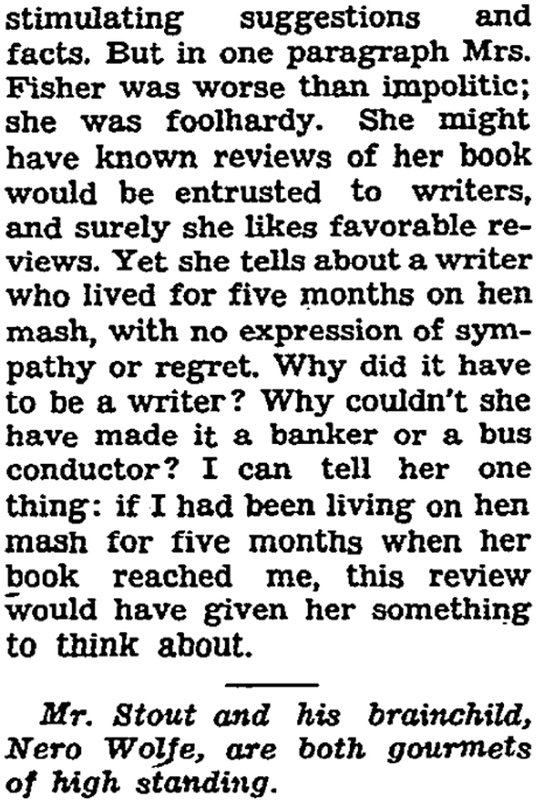 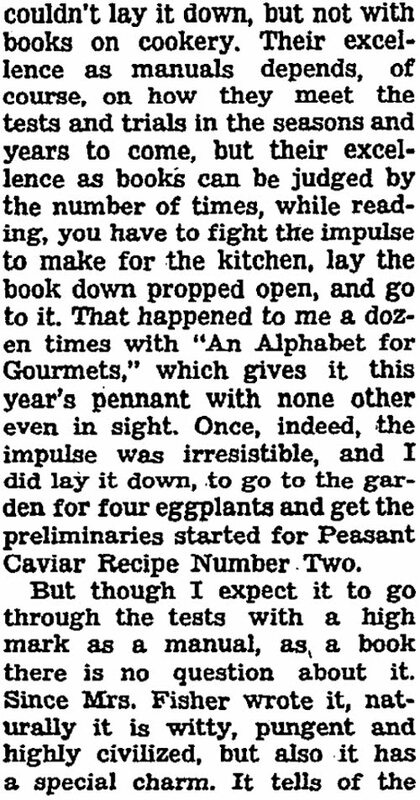 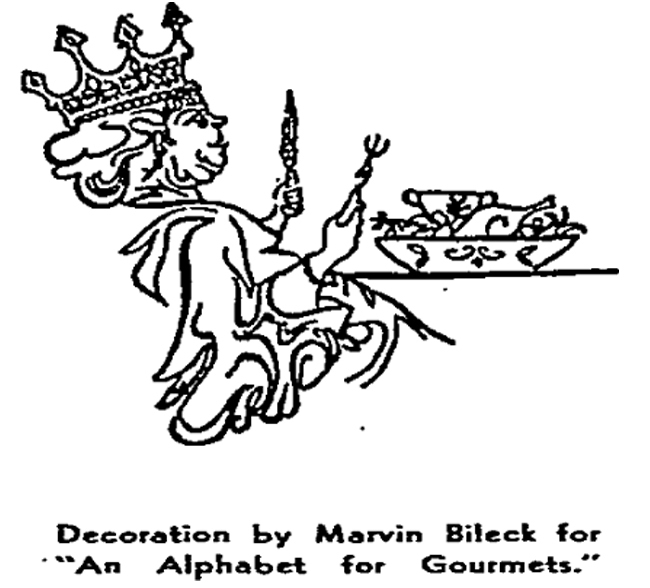 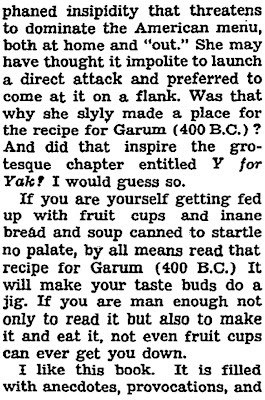 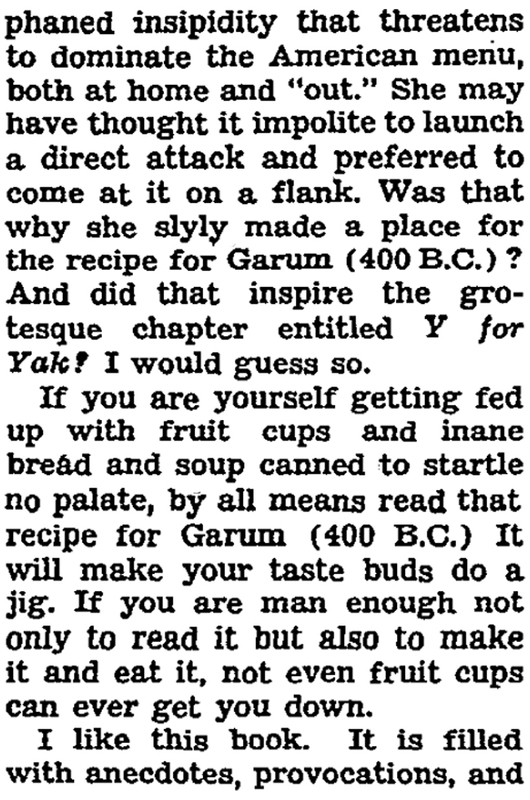 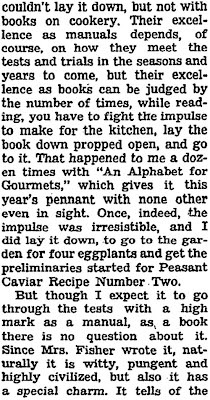 "Suggestions for the Sensitive Palate," by Rex Stout, New York Times, September 9, 1949. 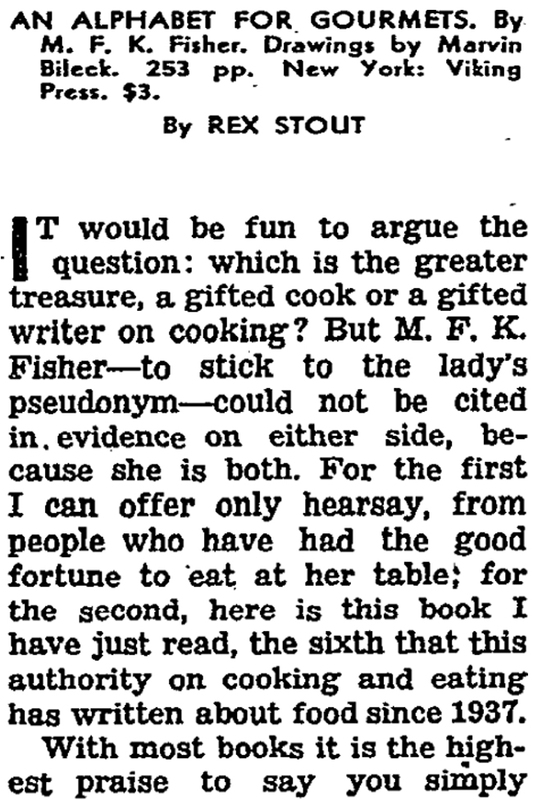 "It would be fun to argue the question: which is the greater treasure, a gifted cook or a gifted writer on cooking? 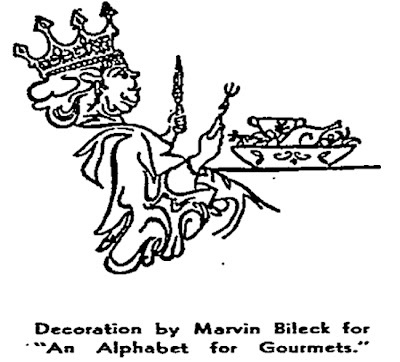 But M.F.K. 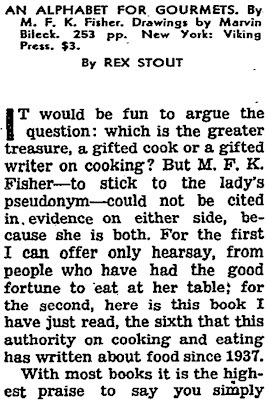 Fisher -- to stick to the lady's pseudonym -- could not be cited in evidence on either side, because she is both."